The WV Writers 2014 Annual Writing Competition is NOW open for submissions! Entries are accepted from January 2 - March 31 for our two writing contests. If you're a college student or adult, or if you're a student in 1st through 12th grade, there's a contest category for you. Our judges list is being finalized, but will be posted here as it is available. 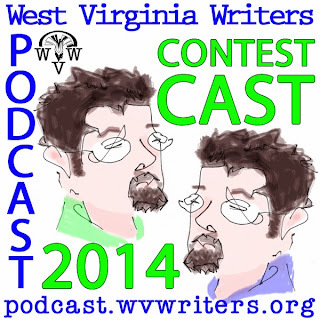 A contest Frequently Asked Questions series is also being posted to the WV Writers Blog. You can find the collected FAQ list at THIS LINK. Listen to our Contest Podcast explaining all the whys and wherefores of the 2013 Writing Competition.